Abraham Zaiderman is the founder and CEO of Abraham Zaiderman Consulting. He brings over 30 years of experience in the restaurant business, helping companies start, grow and expand their restaurant business with expertise in concept development, market research, business strategy, marketing, equipment leasing/finance, franchising, real estate and sales improvement. 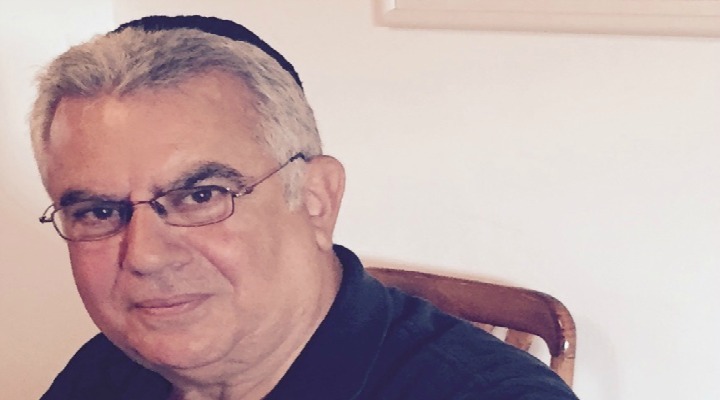 Abraham Zaiderman lives in Potomac, Maryland and is a dedicated husband, devoted father and proud grandfather. At age 13, I started working to support myself and my family. I started off working as a waiter in the Catskill Mountains in New York. If you saw the movie Dirty Dancing you will have a little bit of an idea of what it was like back then. In addition to being a waiter, I worked as a photographer, mechanic, and a teacher for many years in New York City. I have always had an entrepreneurial spirit, so I guess it was inevitable I would one day go into business for myself. After my wife and I were laid off as teachers in New York City, I moved to Washington DC to be near my brother so that we can go into business together. Although working with family has its challenges, my brother and I were a great team together. I’ve invested in real estate. Now I own and operate several fast food businesses. It didn’t take long, but the restaurant business is a lifetime a failures and successes. Learning from my failure and never giving up is the mark of success. Being an entrepreneur, I’ve always been driven and motivated by a certain amount of doubt, but I’ve always had confidence in my ability to succeed. The support of my wife and family has been a continual source of inspiration, especially during those moments when I am questioning my choices. The Internet has transformed the way we promote our business to customers. Advertising on Facebook and Instragram is a great way to engage our target market. The toughest decision I’ve had to make in the last few months is to not sell any business after multiple generous offers. Hard work and confidence. I believe in the importance of loyalty and relationships. Being able to provide for my family and provide for the employees in my company is a source of tremendous pride. The future of my business will be to continue to expand and take smart risks. Seeing my family happy, healthy, and successful is the most important thing to me.